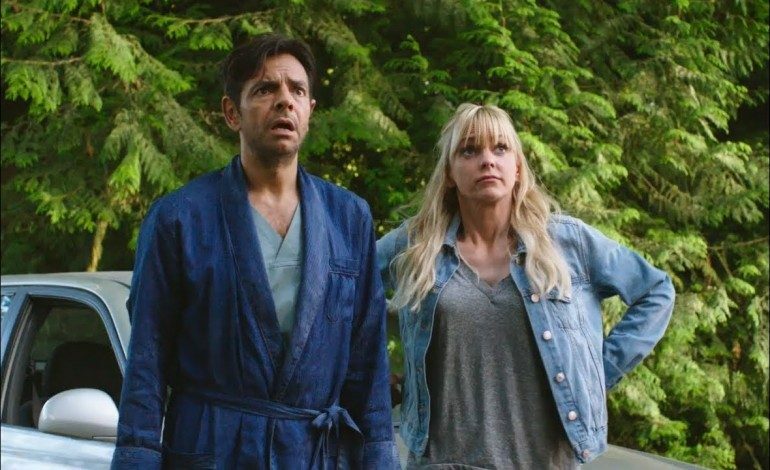 In a gender swap remake, Anna Faris stars as a single mom getting revenge on a self-absorbed rich man who fires her from a cleaning job. When the man (played by Eugenio Derbez), falls off his yacht and gets amnesia, Kate (Faris) is convinced by her friend (Eva Longoria) to trick him into thinking they are married. The original remake from 1987 starred Kurt Russell and Goldie Hawn and was based on the film classic Swept Away. Bob Fisher and Rob Greenberg have split directing duties with this being both of their feature debuts. Fisher previously wrote Wedding Crashers and Greenberg’s claim to fame is as a producer on Frasier and How I Met Your Mother. Now MGM’s Overboard is set to come out April 13, 2018. See the second trailer below.